With over eight million copies in print world wide, Achebe's work is a definitive novel in African literature. Filled with powerful language and finely drawn characters, Things Fall Apart also shimmers with the sounds and sights of village life. Okonkwo is born into poverty, with a wastrel for a father. Driven by ambition, he works tirelessly to gain the prosperity of many fields and wives and prestige in his village. But he is harsh as well as diligent. As he sees the traditions of his people eroded by white missionaries and government officials, he lashes out in anger. 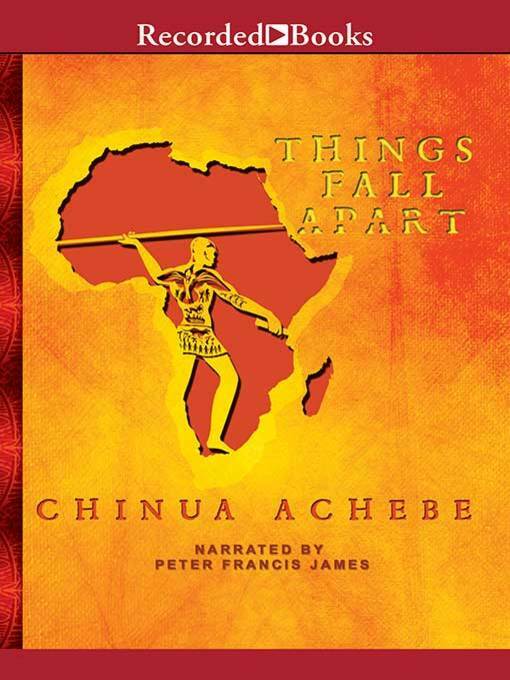 Things Fall Apart traces the growing friction between village leaders and Europeans determined to save the heathen souls of Africa. But its hero, a noble man who is driven by destructive forces, speaks a universal tongue.